Freelance workers will need to keep track of two crucial details when it comes to their bookkeeping and accounts: their cashflow (cash they have to hand) and their profits (money they are making after paying expenses and taxes). Tracking these items occurs when freelance workers engage in bookkeeping, and freelancers may use a variety of accounts in order to keep their transactions in order. Some freelancers turn their bookkeeping and accounts over to other professionals if they do not feel confident in their own skills in these areas. Bookkeeping is literally keeping track of where the money goes in a given freelance business. This means that all incomings and outgoings are recorded, including amounts if money used to buy things, amounts made from selling things, amounts owed to others, amounts owed from others and amounts totalling what is owned by the freelancer or business. Because these records were traditionally kept on paper these duties became known as bookkeeping or keeping the books. Two forms of such bookkeeping were popular, double entry and single entry. Today, however, most freelancers and business owners keep electronic records such as by using bookkeeping software. There are even some online bookkeeping facilities that allow freelancers and businesses to store bookkeeping documents on the Web so that they and other users (such as their accountants) can share access to them. The overall point of bookkeeping is to know exactly where a business’ money goes and to arrive at a trial balance for each day or desired time period. Most freelancers use a variety of accounts as well as daily bookkeeping to keep their financial affairs in order. Freelancers should registers with HM Revenue and Customs as self employed, as well as set up a variety of accounts to be used for bookkeeping and taxation purposes. A current account and a credit card are the most basic kinds of accounts that freelance workers will want to set up for their business. Freelancers might also want to invest their profits, so setting up savings accounts or investment accounts as well as their own personal current, savings and credit card accounts might be a good idea. Setting up an efficient filing system for dealing with the paperwork generated from these accounts is also a good idea, as is saving the paperwork/receipts from all transactions made with these accounts. Most freelance workers are not familiar with bookkeeping and business accounts prior to going freelance (except for those who are becoming freelance bookkeepers!). For this reason many freelancers may feel uncomfortable with these tasks and choose instead to outsource them to other professionals. Employing bookkeepers is a good option for freelancers who want their records kept correctly, while employing accountants is a good option for freelancers who also want their taxes prepared for them. Contacting the relevant Institute of Chartered Accountants should allow freelance workers in the UK to find out more about hiring professional bookkeeping and accounting help. 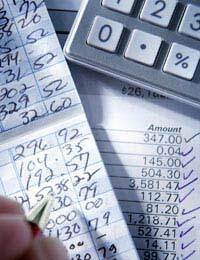 Bookkeeping and accounts are topics that are relevant to all freelance workers. Organising an efficient bookkeeping system, opening and tracking relevant accounts and outsourcing this work to professionals as desired are all important aspects of a freelancer’s business finances.